Michael Gerson published an interesting essay in The Washington Post on Friday, May 30, 2008. Check out "The Libertarian Jesus" at: http://www.washingtonpost.com/wp-dyn/content/article/2008/05/29/AR2008052903262.html?referrer=emailarticle. Tickets now on sale for Sept. 29 show with Clint Black! 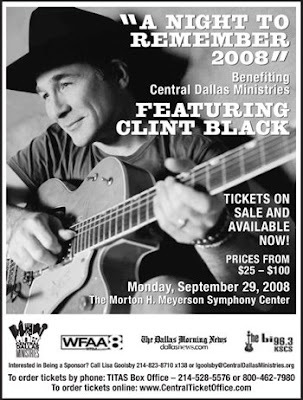 Central Dallas Ministries has just released tickets for our upcoming benefit concert, A Night to Remember 2008 with Clint Black. Click here for more information and to reserve your seats for what will certainly be another sold-out show! More on neighborhoods and value. . .
As a follow-up to yesterday's conversation regarding property values and race, be sure and read the Op-ed essay in The Dallas Morning News yesterday ("Appreciating value," Viewpoints section, May 27, 2008, 11A) offered by Gerald Britt, one of my partners here at Central Dallas Ministries. What Gerald says makes a lot of sense and begins to get at solutions for improving the quality of life in heretofore marginalized neighborhoods. To check out his wisdom, click on the title line above. You know, I'm believing that, as a community, we can do just about whatever we decide should be done. Our failings are related more to will than to any lack of capacity. Whenever I address the subject of race or racial prejudice here, I brace myself. I always get negative feedback, some of which suggests that I should leave the subject alone. The assumption of many of my critics is that race and racism are no longer problems in our society. Oh, the bliss of wishful thinking. Last week I attended the first few minutes of a seminar dealing with property values in neighborhoods as an index for determining "livability" or more comprehensive measures of community health. The presenters were accomplished academics, people who really knew their stuff. I'm sure the seminar was brilliant and full of at least some useful insights. But, I left after the first twenty minutes. One of the presenters made this statement about real estate values in South Dallas, "We controlled for many factors in our comparisons between this part of Dallas and other more affluent parts of the city. We were surprised to discover that race is still a significant factor affecting property values." "Surprised to discover that race is still a significant factor affecting property values"--are you kidding me? Anyone who is surprised by that fact of life in the inner city has just lost the ability to command my presence for the remainder of the presentation. Thus, my early departure. Race and racism remain powerful forces and factors in the dynamics of life, economics, opportunity, hope and justice in every inner city in the United States. ". . .O Lord, we thank thee for the brother preacher who has spoke to us,--we thank thee for heaven,--we thank thee that we kin all go to heaven,--but as to that partition, O Lord, we thank thee that we'se a shoutin' people--we thank thee that we kin shout so hard in heaven that we will break down that partition an' spread all over heaven,--an' we thank thee that if the white fokes can't stand it, they can git out of heaven an' go to elsewhere!" I think the deacon knew more than the academic who came to town last week. How about you? I've been thinking about the two of them all weekend. 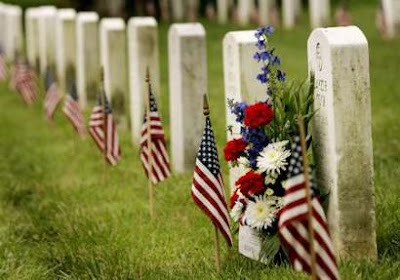 I suppose it's the Memorial Day holiday that has focused my attention and memory. Two soldiers who served in WWII. One, my dad, served in the U. S. Army Air Corps prior to the creation of the U. S. Air Force as a separate branch of the U. S. Armed Forces. He served throughout his assignment in Lubbock, Texas at the Army Air Base there, working as an airplane mechanic. As was the case with many farmers, my dad was discharged so that he could return to the farm and join the war effort there. He never served overseas. I think he regretted that all of his adult life. This fact from his life may explain why I am alive. The other, my father-in-law--Clyde Erwin, served in Europe after his basic training. He found himself caught up on the front lines during the historic Battle of the Bulge. He crossed Normandy beach six days after D-Day. He lost every man in two units as he fought his way across France and into Germany. He was blown off of a Jeep during one battle and nearly killed. He told me on several occasions about Christmas Day 1944 when he and his fellows woke up buried in snow as they waited orders to continue forward toward what would be a German surrender. He spoke of the experience of liberating the concentration camps, of the smell of death and of the horrid condition of the people imprisoned in such inhumane places. He seldom spoke in great detail and he never accepted praise for his service. He always became emotional whenever he spoke of the war. Both of these men are gone now. Both lived as men of peace, devoted to their families, their communities and the nation. Both were spiritual men of faith, integrity and honor. Both hated the notion of war. Both served as called on by their nation. Both were models in every way for me. I miss them both, every day. Today I'm thankful for their lives, their service and their honorable devotion to their nation and to the values of our democracy and to freedom for everyone. Just for fun, but with a point. . .
Want to see an extremely creative website? Take a look at http://www.signmeupstan.com/. It is a hoot! The Richards Group is one of the premier advertising agencies here in Dallas. Obviously, Stan Richards is a creative genius. I also expect he is really fun to work for. When you get to the site, be sure and click on "The Meeting." The other spots are great, but this one is where you need to go today. In community development, as in business, the group culture needs to work off of the assumption that there are really no dumb proposals and that mistakes are not only tolerated, they are encouraged for the sake of creativity, progress and group solidarity. Let me know what you think after you take a look. I gotta tell you, I howled! Jesus speaks to the church of 2008. . .
A conversation with a friend this past week got me to thinking. Most of the time we who claim to be followers of Jesus focus on what we should say about him to the world. We should first ask this question, "If Jesus were here today, what would he say to those who claim to be his people?" Better, what would he say to me? I think I know the general direction of that conversation. "You've always seemed fond of my sermons. Remember this one? 'Blessed are you who are poor, for yours is the kingdom of God. Blessed are you who hunger now, for you will be satisfied. Blessed are you who weep now, for you will laugh. Blessed are you when men hate you hate you, when they exclude you and insult you and reject your name as evil, because of the Son of Man. Rejoice in that day and leap for joy, because great is your reward in heaven. For that is how their fathers treated the prophets. If he were here today, I know he'd tell me things like this. What I know he would tell me ought to shape my plan of life. Our Food Pantry is hurting. . .will you help us? When you are poor, everything negative magnifies against you. The rising cost of fuel is putting amazing pressure on the operations of food pantries across the United States. I encourage you to read this story from the Chicago Tribune to gain a better understanding of what is happening right now. The online version of the report will also allow you to read the chart I've pasted in above. Read it here: http://www.chicagotribune.com/news/local/chi-food-pantry-both-20-may20,0,3897882.story. We have always considered our work in food distribution to be one part compassionate, emergency assistance and one part economic injector. Funds saved on grocery costs can be used to purchase medicine, pay rent, buy school clothes and figure out transportation needs. We have been putting over $1,000,000 of value back on the streets in retail grocery costs every year for the past 10 years. Currently, the need is rising and so are our costs. Contributions can be made online at http://www.centraldallasministries.org/ or mailed to my attention at Central Dallas Ministries, P. O. Box 710385, Dallas, Texas 753710-0385. Be sure and mark your donation for the "Food Pantry." Nursing a migraine today? New research shows you're not alone. More than a quarter of Americans suffer daily pain, a condition that costs the U.S. about $60 billion a year in lost productivity. And how often you're in pain depends largely on the size of your paycheck. Americans in households making less than $30,000 a year spend nearly 20% of their lives in moderate to severe pain, compared with less than 8% of people in households earning above $100,000, according to a landmark study on how Americans experience in pain. The findings, published Thursday in the British journal The Lancet, also found that participants who hadn't finished high school reported feeling twice the amount of pain as college graduates. "To a significant extent, pain does separate the classes," says Princeton economist Alan Krueger, who authored the study along with Dr. Arthur Stone, a psychiatry professor at Stony Brook University. Krueger notes that the type of pain people reported typically fell on either side of the rich-poor divide. "Those with higher incomes welcome pain almost by choice, usually through exercise," he says. "At lower incomes, pain comes as the result of work." Indeed, Krueger and Stone found that blue-collar workers felt more pain, from physical labor or repetitive motion, while on the job than off, which at least offers hope that the problem can be mitigated. This finding "emphasizes the need for pain preventing measures [in the workplace] such as better ergonomics," wrote Juha H.O. Turunen, a professor of social pharmacy at Finland's University of Kuopio, in an accompanying commentary to the report. People with chronic pain also worked less, the new study found, costing U.S. businesses as much as $60 billion annually. These conclusions are in line with previous studies on productivity lost to common pain conditions, including a 2003 report finding that nearly 15% of the U.S. workforce's output was diminished by ailments such as headaches and arthritis. What's new in Kruger and Stone's study, however, is the level of detail with which the researchers were able to chronicle the lives of Americans in pain. With the help of the polling firm Gallup, they asked nearly 4,000 survey participants to diarize their daily activities over a 24-hour period. From these personal accounts, the researchers saw the impact pain had on people's emotional states. Though participants said interacting with a spouse or friend lowered their pain, those suffering chronic pain tended to socialize much less. They also spent a lot more time watching television�about 25% of their day compared with 16% for the average person. Pain also appeared to be a major driver of healthcare costs. Krueger and Stone found that Americans spent about $2.6 billion in over-the-counter pain medications and another nearly $14 billion on outpatient analgesics in 2004, the most recent data available. But in these numbers, too, there may be a distinction between the haves and the have-nots. A 2005 study in Michigan showed that minorities and the poor have less access to such drugs than wealthier Americans because local pharmacies don't stock enough pain medications such as oxycodone or morphine. "Those [pharmacies] in white ZIP codes were more than 13 times more likely to have sufficient supplies," says lead researcher Dr. Carmen Green, an anesthesiology professor at the University of Michigan. "I have patients who have to drive 30 miles or more just to get their pain medications." One characteristic that pain doesn't seem to distinguish is gender: according to Krueger and Stone's study, men and women were nearly equally likely to find themselves in pain. Another is age. People reported more aches and pains as they got older, though surprisingly that pain tended to plateau from ages 45 to 75. "Maybe people reach a point in their career where they move up the ladder into a desk job," Krueger says. "Or maybe they've just learned how to cope with the pain." Downtown sure enough going to the dogs! Back when we first started working on our citywalk @ akard project to provide permanent supportive housing to the homeless and when the whole idea of the new homeless assistance center was battling for a spot in the Downtown development plan, lots of people mounted a campaign based on the claim that Downtown Dallas would be ruined by such projects. Fear is seldom a good measure of reality. I love what I read in The Dallas Morning News back on May 7, 2008, months after we began citywalk@ akard, and almost a year after the City of Dallas started work on The Bridge, our new homeless assistance center, which openned yesterday. Here it is for your encouragement. One thing is certain: Downtown Dallas is not "going to the dogs" because of our work or that of the Metro Dallas Homeless Alliance, the developers of The Bridge! Developers are sizing up two key tracts near the Dallas Farmers Market, planning to construct hundreds of apartments. California-based Legacy Partners has contracted to purchase about seven acres at Central Expressway and Interstate 30. "We are going to build 460 apartment units," said Spencer Stuart, who heads Legacy Partners' Dallas regional office. "We think that is a real up-and-coming area." It would be the largest development in that area since Houston-based Camden Property Trust built its Farmers Market rental community in 1999. 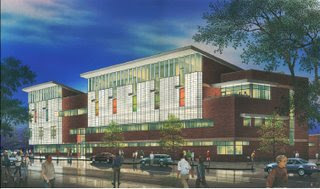 The project was expanded in 2004. Apartment builder Trammell Crow Residential is negotiating to purchase a four-acre tract on Pearl Street for more apartments. Crow Residential officials said it was too early to talk about plans for the vacant property, which is just north of the Farmers Market sheds. 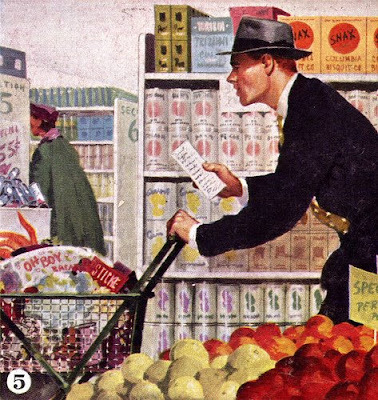 The city of Dallas is investing in the future of the historic produce market, having committed about $10 million toward improvements in the complex, which dates to the 1940s. The addition of hundreds more residents to the area should add to customer traffic at the market, which has been lagging in recent years. Property in the area has been selling for between $30 and $40 per square foot. "We looked at land one mile away at more than $100," Mr. Stuart said. Legacy Partners – which is finishing up a large apartment community in Richardson's Telecom Corridor – is planning an urban-style rental complex on the Farmers Market site that will be aimed at younger renters. "This is going to be ... a lot different than anything down there," Mr. Stuart said. Just for the record, these new development plans target an area just a few short blocks from The Bridge! Maybe we can all live together after all! Could Dallas finally become a real city? Dallas Social Venture Partners invites you to join in an unusual experience here at Central Dallas Ministries on Monday, June 2, 2008 from 5:00 until 7:30 p.m. 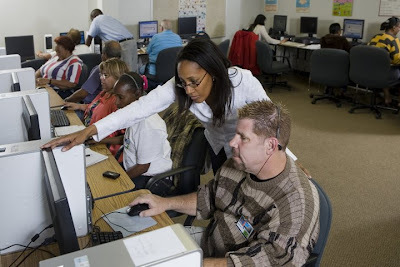 The two-hour "Poverty Simulation" will afford participants the opportunity to assume the role of a "family" facing the unique challenges associated with poverty. The task of the "families" (you'll be assigned a group in which to live for the experience) is to provide for basic necessities and shelter during the course of the 15-minute "weeks" of the experience. 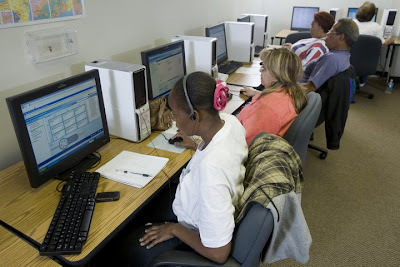 The Simulation has been successful around the country in helping participants begin to understand what it might be like to live in a typical low-income family trying to survive from month to month. It is a simulation, not a game. By taking part, you will gain a greater understanding of the difficulties facing families trapped in poverty. Visit www.dsvp.org, call 214.855.5520 or email rsvp@dsvp.org to reserve your place! We debate the role of public policy in the creation or elimination of human misery. Usually, on this page, the context is urban and domestic. Recently, while making a presentation to a local church group on what ordinary people can do to "seek justice and do compassion," an audience member erupted with the one-word expletive, "Bull!" As a matter of fact, the gentleman shouted his disgust twice. He had been offended by my example of how American farm policy contributes to the growth of poverty, hunger and pain among West African cotton farmers. I was attempting to make a couple of points. First, our world is more interconnected than ever before in its history. Second, ordinary citizens can change and help shape public policy in ways that can make a real difference in the lives of other ordinary citizens of other nations half-way around the world. Sunday morning, I read the front page article in The New York Times concerning the mounting world food shortage brought about in part by the abandonment of agricultural research and development assistance on the part of the world's developed nations, including the United States ("World’s Poor Pay Price as Crop Research Is Cut," KEITH BRADSHER and ANDREW MARTIN). Read the article: http://www.nytimes.com/2008/05/18/business/worldbusiness/18focus.html?_r=1&adxnnl=1&oref=slogin&adxnnlx=1211121630-AB0B/cwZguhJMD8ma1f3pg (or simply click on my title line above). Applying moral principles to public policy formation is more important today than ever before, both here at home and around the planet. I took this photo about a month ago. Then yesterday, I drove by this same station and the numbers had changed just a bit. Every category was up by 40-44 cents. 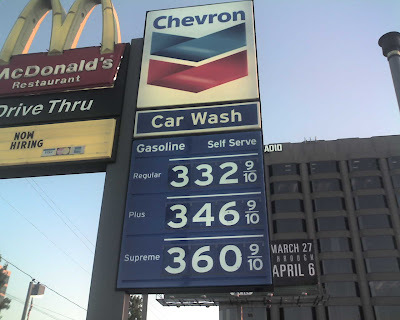 No doubt about it, we're headed for $4.00-$5.00 gas by the end of summer. There are some benefits to rising fuel costs. People drive less, consume less and think more intentionally about how to do things. High fuel prices are good for public transit, Downtown housing developers, transportation innovators and the environment. But, there's lots of downside here, as well. The poor who have cars will be forced to park them. Many of my friends are buying gasoline a gallon at a time. Most will begin opting for public transportation as much as possible. That's okay for most people, but the rising costs of food, utilities, medical services and just about everything else hits people with limited incomes hardest. Market forces, when totally unchecked, tend to devour the poor. Something to think about in church today. Or, is church all about other matters? Willie and the "Promise Land"
Thanks to a good friend of Jennifer, my oldest daughter, I enjoyed the amazing experience of climbing on his road bus, visiting with him and meeting members of his band during one of his appearances here in Dallas. He impressed me as a very quiet, humble man. Interested in me. Self-effacing. On the underside of the bill of a Colorado Rockies baseball cap in my collection you'll find his John Henry! Great night it was! I've always loved Willie's rendition of "Living in the Promised Land." Here are two presentations of this moving music. The first is filled with graphic images of the American Dream, the second a video of Willie and his band playing this important piece of music (and you'll need to disregard what follows Willie's music). As I listen and watch, I wonder if we haven't lost something that we badly need to recapture as a people. My grandchildren and my work. . .
My grandchildren occupy an extraordinary place in my life, better, my heart. Gracie turned 6 at the end of March. Wyatt celebrated his fourth birthday early in April. Owen blew out his candles in early May for the second time. Wow, do I love these kids! Words don't work for me when it comes to these three little ones. Nothing is better than being with them, listening to them, playing with them, just watching them. I think about them all of the time, for obvious reasons related to family and my love for their parents. But, I also think of them when I consider what every child needs and deserves. My grandchildren will grow up with every advantage imaginable. They will be given a huge headstart in the game of life. What they have, all children should have. I have to admit that much of my vision for my work is formed by what I know about these three little people, their blessings, their imaginations, their needs. I also know and understand at a deep level that my feelings for my grandchildren are shared by parents and grandparents across the city, no matter what their socioeconomic standing or their current possibilities. Working hard to see opportunity and possibility offered to every child seems like a good thing. March, April and May have become very special to me and my family. It's a season about the kids. I choose to believe that same thing is true of what we are trying to accomplish with our work in the lives of children and their families who just happen to be lacking in so much that my family takes for granted. Happy birthday, little ones. Granddad loves you more than he can say. Here's a must read for anyone involved in the non-profit sector, anyone who works with donors or any donor who cares about the work of solid non-profit organizations. Written by Donald G. McNeil, Jr., I picked it up from The New York Times (Tuesday, April 22, 2008, p. D6). Since it was issued on April 1 by the Center for Global Development, an antipoverty study group, a mock press release titled “Road to Health: Paved With Good Inventions” has been circulating among global health experts. Though it drones on in admin-speak, it elicits rueful laughter. The release envisions a new drug that stretches donors’ attention spans and contains an antidepressant in case of “exposure to negative headlines.” Research would be financed by the airfare saved by canceling endless meetings with donors. The mock release added that the World Bank’s ability to “write the same things again and again for more than a decade” was “proof of concept” that donors could be strung along. Seriously now, I can relate! Any other non-profit folks or donors out there who relate to this? Let me hear from you. Had someone told me this time last year that CNN, Fox News and other major media outlets would be discussing the ideas of liberationist thinkers as a part of the current presidential campaign, I would have thought such a person to be completely out of touch with reality. What a difference a few weeks can make! Most people have never heard of the concept, nor considered the tenets of the theological perspective offered by liberation theologians. Of course, once you go there to investigate, if you are serious, you immediately recognize that you face a bit of a challenge, thanks to the fact that the concept, as reflected in the literature, takes off in so many different directions and is related to so many different people groups and issues. Further complicating any basic understanding of this particular theological point of view are the many ways the interpretive tool has been used and abused by countless and vastly different groups. In summary, Liberation Theology recognizes the clear commitment of God and of God's various earthly representatives to the plight of suffering and oppressed peoples in every age and everywhere. The interpretive perspective of Liberation Theology will not allow one to read past the hundreds of scripture passages that fill our bibles dealing with the poor, the oppressed, the marginalized, the victimized and the abused. The liberationist "school of thought," broadly understood grew out of circumstances where extreme poverty, oppressive politics and organized resistance to any meaningful social/political change to improve living conditions for the impoverished intersected the world of faith, especially and initially as understood by poor Roman Catholics and their priests in Third World nations. The epicenter for the initial emergence of Liberation Theology was Latin America, though its influence now extends around the world. Liberationists believe that God in both the Hebrew and the Christian bibles expresses and exercises a "preferential option for the poor" and the marginalized. This preference can be traced out in an unbroken line from the Law of Moses, through the historic narratives of Israel and Judah, on to the hymnology and wisdom literature of Judaism and culminating in the prophetic literature spanning the period from the 8th to the 5th centuries B. C. E.
For Christians, this same line can be picked up again from the birth of Jesus on through the gospel narratives, into the first community of Christians, in the early writings of the church and finally on to the Apocalypse. An epistle like the book of James, for example, exemplifies the combination of Hebrew prophetic tradition and the influence of the life and teachings of Jesus on subjects that are very much bound to everyday human experiences such as work, wages, compassion, wealth and fairness in the marketplace. Once scripture is held up to this thematic measure--God's commitment to those who suffer injustice, oppression and systemic marginalization--a broadening of one's understanding of salvation, redemption, community and mission sets in logically. Eyes are opened to what has always been present in the literature of faith, but blocked in various ways by other choices as to priority and interpretive weight or importance. Most oppressed communities resonate naturally with this emphasis. Those who reside closer to and benefit from the centers of power that most often perpetrate the oppression, express bewilderment, concern, disdain and, at times, outrage at the ideas espoused by those who employ a liberationist lens to interpret the biblical texts. Liberation theology resists the typical impulses of religion and the traditional religious to spiritualize out of the biblical narratives any real concern for the material world and its pain. While heaven or afterlife is a component of liberation thinking, the matters of here and now, of the earth, of the material, the economic and of the socio-political assume a central place in liberationist worldviews. As one writer once put it, "There is no way to heaven but through the earth." Sounds a lot like Martin Luther, the father of the Protestant Reformation who once wrote, "If I knew Jesus was returning to earth tomorrow, I would still plant a tree today." Liberation Theology refuses to allow a system of personal salvation, redemption or justification to block or to wall off the faithful from their responsibilities to do justice, to love mercy and walk humbly with their God in the here and now of this present reality and life. For the adherents of liberation thinking, no understanding of the faith that relieves believers from responsibility regarding the plight of the poor, the oppressed, the captive, the shut out and the marginalized can be considered a legitimate theological paradigm. No interpretive framework can be regarded as acceptable that places a concern for the poor at the margins of personal or corporate mission or that considers such concern as in any way optional for the person of faith or the larger community of faith. Reading the gospels through this interpretive lens can be quite an experience, especially when coupled with a day-to-day experience of working and living among people who know and experience poverty. People want to move forward. . . If a picture is worth a thousand words, then I should just stop typing right here! Inner city residents want to advance. They want to work at decent jobs that offer a fair return for their labor. 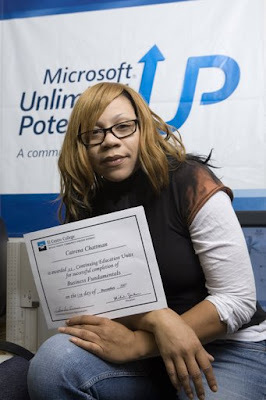 These photos were taken recently at the Charlie Mae Ransom Technology Learning Center, Central Dallas Ministries' neighborhood workforce development center located in the Roseland Homes neighborhood. 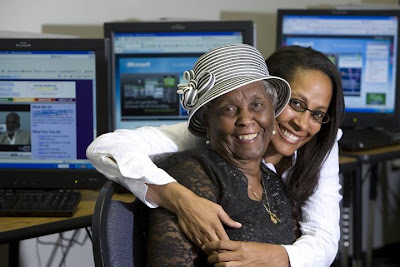 The center is named for Ms. Charlie Mae Ransom (pictured last below with Lenora Holmes, CDM staff member), a resident of Roseland Homes for almost 65 years! Ms. Ransom is also my boss due to the fact that she serves on our Board of Directors. The photos were taken during a visit by MicroSoft, our biggest supporter of the center. "A slow motion Katrina. . ."
"Poverty in Dallas is like a slow motion Katrina." Why is it that we find it so easy to respond to the dramatic, the spectacular, the disastrous, the obvious, but can't see what occurs on an everyday basis in our own backyards? Not long after Hurricane Katrina hit New Orleans and blew away the Lower Ninth Ward, the Dallas-based Foundation for Community Empowerment and the J. McDonald Williams Institute produced a research report that compared that New Orleans community with our own Frazier Neighborhood here in South Dallas. By every single measure the Dallas community was worse off than its counter part in New Orleans prior to the storm. I suppose it takes a disaster to get us concerned. Of course, in the case of New Orleans we have been far from concerned enough, but that is another matter for another time. Week before last an immigrant from East Africa was killed while trying to cross one of our freeways here in Dallas. Tragic story and loss. Front page story in our local newspaper. I've received a number of calls about this man's family from people wanting to help. Great of them to call and to help. But in the ghetto neighborhoods of Dallas slow motion car wrecks claim innocent lives, one bit at a time, every single day. Some how, we act as if we don't believe the reality is anywhere near us. Like unless we come and see it every day or read some shocking report about human pain, we feel as if it is not there, as if it is not going on at all. Dr. Jargowsky is right. A "slow motion Katrina" at work in a neighborhood very near you, much closer than you think. If you are in or near Austin, Texas next Tuesday. . . 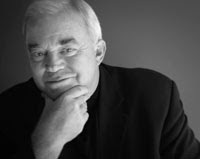 If you are going to be in or near Austin, Texas next Tuesday, May 13 at 5:00 p.m., you ought to head to the Capitol building to take part in a rally to be led by Jim Wallis, best-selling author and editor of Sojourners magazine. To learn more, simply click on my title line above and read the story in yesterday's Austin paper. If you attend, I'd love to hear from you with a report on your reactions. 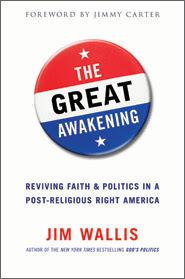 Wallis has a new book out: The Great Awakening: Reviving Faith & Politics in a Post-Religious Right America. You can order a copy by going to Amazon.com via the link on this page. National Public Radio's "This I Believe" segments always seem to touch me, usually deeply. My good friend, John Siburt made me aware of this piece--check it out: http://www.thisibelieve.org/dsp_ShowEssay.php?uid=44482&topessays=1. Sara Miles really "gets it." You can hear her at the link above, but here are her words just in case you'd like to read. . .
As heard on NPR's All Things Considered, May 5, 2008. Until recently, I thought being a Christian was all about belief. I didn’t know any Christians, but I considered them people who believed in the virgin birth, for example, the way I believed in photosynthesis or germs. But then, in an experience I still can’t logically explain, I walked into a church and a stranger handed me a chunk of bread. Suddenly, I knew that it was made out of real flour and water and yeast––yet I also knew that God, named Jesus, was alive and in my mouth. That first communion knocked me upside-down. Faith turned out not to be abstract at all, but material and physical. I’d thought Christianity meant angels and trinities and being good. Instead, I discovered a religion rooted in the most ordinary yet subversive practice: a dinner table where everyone is welcome, where the despised and outcasts are honored. So, over the objections of some of my fellow parishioners, I started a food pantry right in the church sanctuary, giving away literally tons of oranges and potatoes and Cheerios around the very same altar where I’d eaten the body of Christ. We gave food to anyone who showed up. 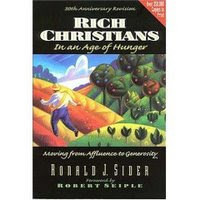 I met thieves, child abusers, millionaires, day laborers, politicians, schizophrenics, gangsters, bishops—all blown into my life through the restless power of a call to feed people. At the pantry, serving over 500 strangers a week, I confronted the same issues that had kept me from religion in the first place. Like church, the food pantry asked me to leave certainty behind, tangled me up with people I didn’t particularly want to know and scared me with its demand for more faith than I was ready to give. Because my new vocation didn't turn out to be as simple as going to church on Sundays and declaring myself “saved.” I had to trudge in the rain through housing projects, sit on the curb wiping the runny nose of a psychotic man, take the firing pin out of a battered woman's Magnum and then stick the gun in a cookie tin in the trunk of my car. I had to struggle with my atheist family, my doubting friends, and the prejudices and traditions of my new-found church. But I learned that hunger can lead to more life—that by sharing real food I’d find communion with the most unlikely people; that by eating a piece of bread I’d experience myself as part of one body. This I believe: that by opening ourselves to strangers, we will taste God. Sara Miles is founder of The Food Pantry at St. Gregory of Nyssa Episcopal Church in San Francisco. A former restaurant cook, Miles is a journalist who writes about military affairs, politics and culture, and is author of the memoir Take This Bread. Your feedback would be helpful. 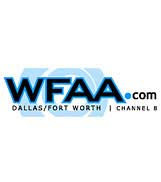 . .
Watch WFAA Channel 8 News Tonight! Catch an update on our community organizing efforts at Turner Courts in the Rochester Park neighborhood in far South Dallas. Tune in to the 10 o'clock news tonight on WFAA Channel 8 to get a firsthand report from our team as the community celebrates the return of public transit to the neighborhood! Poverty, Place and Public Responsibility. . .
At our May edition of the Urban Engagement Book Club, we looked into Paul Jargowsky's very important book, Poverty and Place: Ghettos, Barrios, and the American City (1997). We were very fortunate to have Professor Jargowsky as a guest and he handled our "follow on" session following our book synopsis. Jargowsky traces the demographic realities of poverty and the affect of poverty when concentrated in inner city neighborhoods. His original research, and his updates since the book first appeared, has been very helpful to urban planners, public policy officials, economists, business leaders and leaders of inner city renewal efforts. Jargowsky demonstrates that when somewhere between 25% and 40% of a neighborhood's population falls into poverty, that community "tips" in a way that makes it impossible to renew without serious public policy change accompanied by large scale public engagement. Over the weekend, I had occasion to be driving through far North Dallas and into Collin County, one of the wealthiest areas in the United States. As I drove along immaculately manicured, tree-lined boulevards and as I noted the incredibly upscale housing stock and more retail options than anyone could have imagined just ten years ago, a question hit me hard. What impact does such a wealthy environment have on the psyche, the choices, the worldview and the behavior of the people who live here? My little tour of "silk stocking street" reminded me of Malcolm Gladwell's statement in his best-selling book, The Tipping Point. Gladwell sites research that says a child reared in a good home in a bad neighborhood has less chance of "making it" than a child raised in a bad home environment in a good neighborhood. Wealth and what it can produce, no, what it demands in terms of neighborhood environment and options, acts as a guarantee of sorts for success, stability and wellness. Life, its choices and its outcomes generally works better where resources are adequate. But, our actions as a community don't warrant such a casual dismissal of a telling and instructive reality. Development of all kinds--economic, educational, housing, health care, transportation, public infrastructure and services--follows after and serves wealth. On the private sector side, development rushes toward available capital because that is where the profit margins are found. On the public side, development moves naturally where persons with wealth and political power/influence live and act collectively. Development just doesn't come naturally to low-income areas. The traditional magnets of wealth just don't exist in such neighborhoods. While human capital and social capital, when organized, can and does exert some influence, without a public commitment to compensate for the lack of material wealth, no impoverished community can ever recover. The neighborhoods where I work are located a world away from the route I drove over the weekend. There is no chance whatsoever that the residents of poor communities will ever experience the environment created by wealth until wealth is channeled in their direction. I'm convinced that the role of public policy makers involves the creative use of community capital to insure that distressed and marginalized neighborhoods have a chance to thrive again. Ironically, wealthy communities often receive the added benefit of such creative public involvement in exchange for certain development activities. What works for the well off will work for the not so well off, but only if the political will exists for such action among the poor. 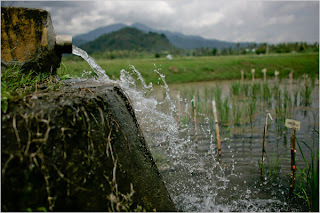 Unless and until communities make a collective commitment to see renewal jump-started in very poor communities, we can not reasonably expect to see these communities or their populations change much at all. I have a feeling that Dr. Jargowsky agrees. Success story from Turner Courts! Check out Janet Morrison's recent post about a real victory for the Turner Courts housing development located in the Rochester Park neighborhood in South Dallas: http://janetmorrison.blogspot.com/2008/05/slow-down-breathe-deep-and-let-bus-come.html. To get more of a sense for how the victory feels at the community level visit Ms. Sylvia's blog at: http://www.lovethyneighbors.blogspot.com/. 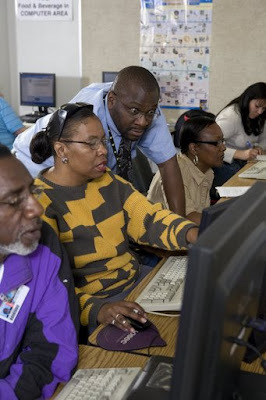 Community leader, Michael Davis also posted some good words at his blogspot: http://www.dallasprogress.com/. Thanks to Dallas City Council Member Dwaine Carraway for his involvement and leadership and to the neighbors at Turner Courts who refused to give up about bus service into their community at night. Here's something to consider in view of my last post, you know the obnoxious one on your money! What do you plan to do with your tax rebate check that either has been deposited to your checking account or will be coming through the mail? You know, the $600 or $1,200 windfall that the federal government is giving back to help "stimulate the economy." Why not donate part or all of it to Central Dallas Ministries or to some other effective charitable endeavor? If you choose to make an investment in the work we are doing in Dallas in the inner city, we will be grateful. And, I can assure you your help will stimulate the lives of our neediest citizens. I'd love to keep a running total on the gifts given. So, if you make such a contribution to CDM, please note it is part of "Larry's Rebate Challenge." If you give to another organization, please let me know where and how much you are giving either here or by email to ljames@CentralDallasMinistries.org. Contributions can be mailed to CDM at P. O. Box 710385, Dallas, Texas 75371-0385 or online through our website at http://www.centraldallasministries.org/. Thanks for considering my challenge. I hope you'll accept it. People always ask. . . It happens everywhere I go. In countless ways and in all sorts of circumstances, good-hearted people ask me again and again, "Larry, what can I do to help?" More and more, I find myself responding with a very simple and clear reply: "If you really want to make a difference, give me money, and do so on a regular, planned basis." People don't expect that response, but I feel it is appropriate. Most who ask me how they can help have money, many have quite a bit of money. Usually, folks look to me to figure out how they can have a hands-on experience, and we are glad to make those attempts. And, we will continue doing so. But, the best thing people with money can do to help us is give us money. For many, making money, amassing capital is a gift, a talent. Not to say it is their only talent, but it is clear that it is a fundamental gift. Years ago, one of my dearest friends who served on our advisory board at the time complained of his frustration with trying to help me. He worked hard at numerous "hands-on" jobs. He attended countless meetings, which he hated! Finally, in a very honest conversation, I just told him, "Here's what I need you to do. Go back to work. Pray for us. Make all the money you can. Then, give me all you can." He seemed relieved by my counsel. He reminds me of it still, though it was 11 years ago that we had "the talk." It's a bit amusing when people say things to me like, "Well, you can't solve problems by simply throwing money at them!" Frankly, I wouldn't know about that since I've never been caught in a "money storm" where lots of it was flying around inside my world. I'd love to test the theory though. Let's begin with someone stepping up and starting to throw! The fact is, not everyone needs to come down to the inner city. Not everyone is needed. When Nehemiah had finished rebuilding the wall around the ancient city of Jerusalem, he had the people draw lots to determine which 10% would live inside the walls. The remainder had the freedom to live outside the walls in the freedom of the countryside. Not everyone was needed in the inner city. So it is today. There's just not room. I visited a prominent non-profit organization in another city not long ago. The Director of Development told me that the walls in a certain area of their complex had been painted 15 times in the past year! Come on. Can we get real here? Don't get me wrong. Volunteers are great and we use lots of them. But many, many people can really make a huge and lasting difference by simply funding that which they believe in. People who say to me, "We want to do more than just give money," make me want to ask the question, "So, how much money are you currently giving?" I suppose I've belabored the point long enough. 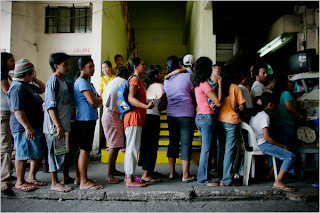 It takes money to feed the poor, house the homeless, treat the sick, educate the children and enhance workforce skills. I need your dollars to get the job done. Please don't apologize if that's all you have to offer. Most of the time it is the very best and most efficient thing you can do to really move things in the right direction for the most people. The date inscribed inside the front cover of my copy of Ron Sider's classic, volume, Rich Christians in an Age of Hunger: A Biblical Study reads "8/9/77" right there beneath my name and hometown at the time I purchased it--New Orleans, Louisiana. When God selected a chosen people, he picked poor slaves in Egypt. When God called the early church, most of the members were poor folk. When God became flesh, he came as a poor Galilean. Are these facts isolated phenomena or part of a significant pattern?
. . . There is a sharp contrast, nonetheless, between God's procedure and ours. When we want to effect change, we almost always contact people with influence, prestige and power. When God wanted to save the world, he selected slaves, prostitutes and sundry other disadvantaged folk. . . . When I came to Central Dallas Ministries fourteen years ago, I had no idea just how true Sider's insights would turn out to be in our work here in Dallas. Since the moment Josefina Ortiz walked into our world, the poor have found their voice among us all (for more on Ms. Ortiz use the "Search" tool above and read more about her). What I find strange is how important my new context would be in allowing me to discover, firsthand, the truth of Sider's wisdom. Of course, he drew his insights from the ancient biblical texts. Somehow though, rich people like me can't see the truth of things without an experience with and among the poor, the true champions and people of God. Praxsis precedes theology. 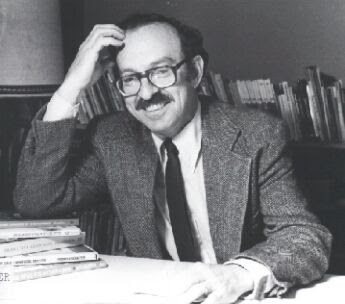 John E. Stapleford's essay, "A Torturous Journey: The Condition of Black America," (Christian Scholar's Review, XXXVII:2, Winter 2008, pages 231-251) is very important work that deserves our serious attention. If you've been following his page, you've seen my attempts to summarize his extensive research. I've put it up here in hopes that it would further a conversation beyond this space out in the real world we all occupy. Much of the research is downright depressing. A number who have taken the time to comment have asked questions about what to do and how to respond. Stapleford ends his essay with a short section he calls "What Might Be Done." He writes from the perspective of a churchman, so his suggestions relate to communities of faith and their possible responses to the unique challenges facing African Americans in the United States. 1) Be a prophetic voice by making congregations aware of the reality facing black Americans and by speaking this truth into the larger society. People and institutions of faith should use their human capital to invest in and work for social and systemic change. Blacks and whites should be working together, side by side in efforts to create new partnerships, drive forward funding reform and by engaging in initiatives to work for real change. 2) Whites should support the efforts of blacks to build a better future. Commitment to working together to see improvements in public education, housing, health care, wage levels, employment skill enhancement and access to equal opportunity. 3) The 21st century should be the century of multiracial congregations. Work must be done to change the fact that 90% of blacks attend predominately black congregations and at least 95% of whites attend predominately white churches. All sorts of obstacles exist, but a change in behavior and mindset is called for here. 4) Whites should work hard with blacks to see significant human, social and educational capital growth in our national community. I would add that whites simply need to open their minds and eyes to the unique and challenging positions that African Americans occupy in the United States. Listening with a new set of ears, learning the benefit of arriving at new understandings by simply hearing people out no matter how frustrating, challenging or new the ideas may sound. Seeking first to understand, rather than to be understood will be a key principle for achieving authentic community and informed attitudes. Honesty and candor will be essential to any progress. Patronizing attitudes, flights of white guilt and continuing adversarial postures share the same debilitating character and should be avoided. We must keep talking. We must learn new skills grounded in patience and a long-term commitment to breakthroughs, progress, community and reconciliation. God help us to never give up. The cost of doing so will only continue to add to a national tab that we simply cannot afford to pay. Much work remains to be done. I'd love to hear about your experiences. I'd appreciate your responses. Save the date for Clint Black! Monday evening, September 29, 2008! In the beautiful Morton H. Meyerson Symphony Center in the Downtown Dallas Arts District! It will be here before you know it and I need your help to make "A Night to Remember 2008" a giant success! 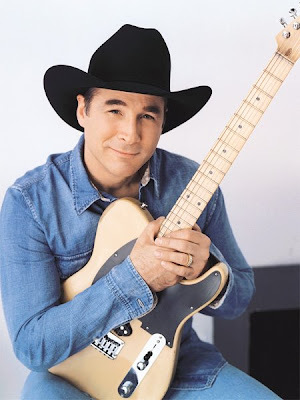 Country music star and award-winning song stylist, Clint Black (http://clintblack.com/) will join us as we celebrate our 20th anniversary of inner city ministry in Dallas, Texas. Funds raised during this wonderful event will all be used to support our work in the inner city. 1) Place this date on your personal calendar. 2) Forward this information to your network of friends to let them know. 3) Plan now to make it a special night and purchase tickets when they go on sale later in May--you'll be among the first to know when the tickets are about to go on sale. 4) If you are able, consider becoming a sponsor for the event (call me for details at 214.823.8710 ext. 116). 5) Begin thinking of ways that you can help promote this special event at work, church, school and in your community. We'll be happy to provide everything you need to spread the word! It will be another great evening, truly A Night to Remember!